So much retirement advice is geared towards seniors, yet it's the middle-aged crowd that has the most to worry about when it comes to saving and investing. So much retirement advice is geared towards seniors, yet it’s the middle-aged crowd that has the most to worry about when it comes to saving and investing. Soon-to-retire Boomers certainly have plenty on their plates, but between robust Social Security benefits, mature assets and some of the last pensions our workforce is likely to see, their prospects are arguably better than those of their younger counterparts. In fact, an ongoing Gallup poll has shown that the 30 to 49 age group bears some of the nation’s greatest financial concerns. Compared to millennials and Americans 50 and older, they’re more likely to worry that they won’t have enough money for retirement, that they won’t be able to pay for college for their children and that they won’t be able to pay off their debts. They even worry almost as much as the 50 to 64 crowd that they won’t be able to cover medical costs in the event of a serious illness or accident. Hard stats show these fears are well-founded. A 2014 Wells Fargo survey revealed that 19 percent of Americans have no retirement savings,34 percent aren’t currently saving, and the median savings across all age groups was just $20,000. Similarly, a 2014 Bankrate survey found that roughly one third of Americans between 30 and 49 hadn’t even started to save. All in all, this age group represents a great opportunity for advisors looking to educate new clients. Midlife, when job experience and income are typically high, is one of the best times to save, invest and take advantage of compound interest – so why aren’t more middle-aged Americans saving enough for retirement? “It’s probably the age category where people really have the last amount of extra income left over after their bills,” said Reno Frazzitta, president of Secure My Funds. Between raising children, buying homes and allocating funds to other large expenses, it becomes all too easy to put off retirement saving until age 50 or beyond. “At that point, though, you’re just playing catch-up,” Frazzitta added. Still, it’s often a flawed that mindset that keeps middle-aged workers from prioritizing retirement. “People in their 30s and 40s associate saving money with sacrifice,” said Edward Petersmarck, insurance and financial services sales director for M&O Marketing. “There’s no investment strategy that can protect you from that mindset.” For many middle-aged clients, adopting better savings habits is a matter of getting over that mental hurdle and recognizing the long-term rewards – and necessity – of paying themselves first. A lack of understanding regarding investment options is also a chief concern. “The second biggest mistake middle-aged clients make is not truly understanding the taxes, fees and legal concerns of their assets,” said Petersmarck. “Do you want your fees and taxes to increase or decrease as the values of your assets grow?” Soon-to-be and certainly current retirees don’t need to worry as much as they approach the distribution phase, but fees and taxes can drastically affect net worth over a two- to three-decade time line. Savers often neglect the fees associated with 401(k)s and other tax-qualified retirement plans, for instance, and ever-changing capital gains taxes can eat into the “additional” growth clients think they’re gaining by prioritizing equities over annuities. For middle-aged clients who aim to minimize those taxes and fees, planning strategies may not differ much from those favored by the older crowd. “While younger people supposedly have higher risk tolerances than older people, personally I approach it more conservatively,” said Petersmarck. “My clients can’t afford to gamble with their retirement plans.” Conventional wisdom says people in their 30s and 40s should invest more heavily in equities than older planners, but given the market’s volatility – and stocks’ lack of principal protection – annuities, bonds and certain insurance policies may all be better bets. Indexed universal and other cash-value life insurance policies are particularly popular right now, and for good reason. “They have the potential for growth with no risk, and they’re great for people in their 30s and 40s” said Ryan Brown, CR Myers and Associates financial planner. “They can’t lose money, and if something happens to them, their families will be taken care of. There’s no other financial vehicle in the world that can do that.” Brown noted that while the common illustrated rate of return hovers around seven percent, he’s seen clients make as much as ten percent depending upon their premiums and the current S&P 500 performance. As for clients already heavily invested in the market, staying the course is likewise a bad move – at least according to more conservative advisors. “A correction is imminent, and if my portfolio was inflated, I’d move that money into a protected contract like an annuity,” said Petersmarck. “It’s my opinion that we cannot afford to gamble, and thus the open equities market is removed from consideration.” Brown likewise commented that, “If the richest of the rich don’t know what’s going to happen with the market, why would average people think they can beat it?” Both argue that by starting early and contributing regularly to safer investment vehicles, clients can reap the same or better rewards compared to what they’d gain through the market, but without the risk of losing their initial investments. Not all advisors agree that middle-aged investors should be so risk-averse, however. “Even if the market dropped 30 percent, the dollar cost average will help them out because they’re continually putting money away and not drawing money out,” said Frazzitta. Still, Frazzitta also noted that a mix of safe and variable investments is ideal, and that middle age is the perfect time to start using annuities and cash-value life insurance. Clients’ risk tolerances and income will ultimately determine their involvement in the market, but even advisors who generally favor equities might want to stay open-minded regarding annuity- and insurance-heavy portfolios. 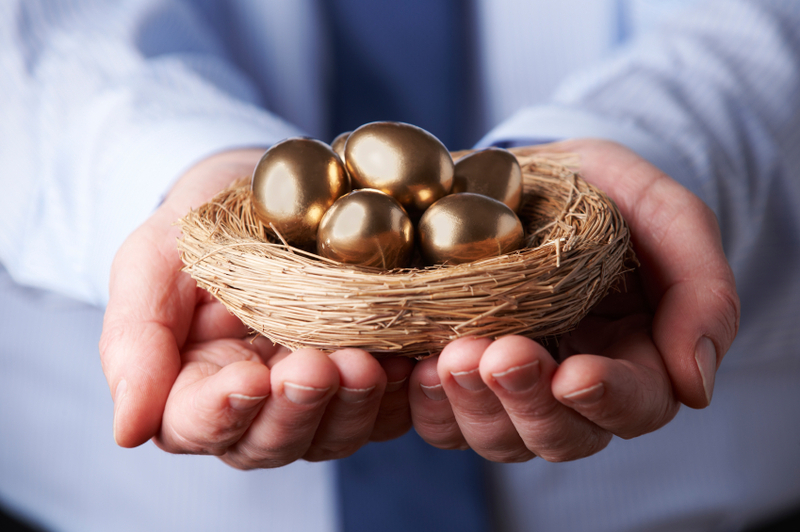 Now that decades-long retirements are the norm, safe and even lifelong guaranteed income streams are only going to become more important for clients of modest means. Whether or not they invest heavily in equities, middle-aged planners also need their advisors to stay on top of changes in both the market and legislature. “We don’t know what the economic environment will look like down the road, and ideally you’ll have two or three different strategies or alternate scenarios you can track,” said Frazzitta. A client might have an aggressive, equities-heavy strategy dependent upon a growing market, for instance, as well as a safer fallback plan that would involve shifting money from stocks to annuities and life insurance vehicles. “You’d need to track these on an annual basis to see how they’re coming along, and if the tax situation changes, at least have a plan to change course,” Frazzitta added. The likelihood of tax hikes also makes Roth IRAs, health savings accounts and other tax-free growth investments ideal choices for clients who still have plenty of time to contribute. “With the amount of debt the government has accumulated over the years, it’s highly likely that income tax rates are going to be significantly higher than they are now,” said Frazzitta. Many middle-aged savers feel like they’re already stretched thin, but matters will become far worse for those who continue to delay, and whose main income streams are subject to ever-higher tax rates in retirement. Finally, it might be a good idea to treat Socially Security a little differently for the under-55 crowd. The collection ages already rise at regular intervals, but with the trust fund expected to exhaust by 2033, and with a cost of living adjustment that doesn’t always provide for retirees’ increasing expenses, middle-aged people shouldn’t count on it as a significant source of income. Frazzitta, Brown and Petersmarck all think of it as an eventual supplement to their clients’ income, not as a primary source in and of itself. Ultimately, middle-aged clients need to pick solid strategies and start savings as early as possible, but they also need to keep open minds as tax rates, investment laws and market trends change throughout their working lives. “An advisor working a younger client absolutely should be thinking about how the economic environment, tax environment and cost of living is going to change down the road and start planning for it accordingly,” said Frazzitta. Even if a client’s risk preferences, spending power and retirement goals stay the same through his 40s and beyond, a changing economic environment will still require course adjustments.